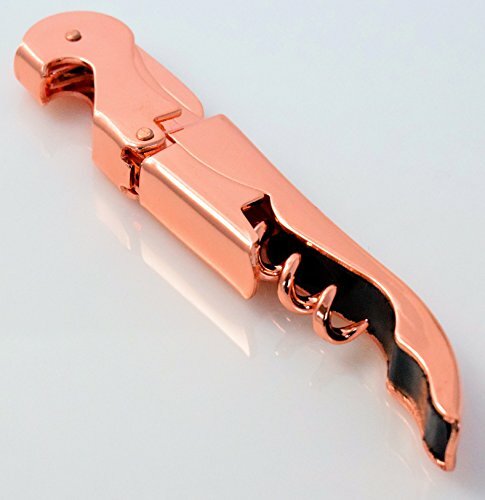 Copper Plated Corkscrew Double Hinge Waiters Wine Key / Bottle Opener # COP by Tipsy Wine Products at Verve Wine Bar. MPN: CHGLD. Hurry! Limited time offer. Offer valid only while supplies last. Copper Plated Finish Double-Hinge Corkscrew with Serrated Foil Cutter If you have been looking for a Copper plated corkscrew this is the one for you. View More In Waiter Corkscrews. If you have any questions about this product by Tipsy Wine Products, contact us by completing and submitting the form below. If you are looking for a specif part number, please include it with your message. © 2019 - vervewinebar.com. All Rights Reserved.